To help ensure the safety of arriving colonists on Calypso the CDF recently have appointed six Calypso Advisors: Mallard, Oak, Hemlock, Hazel, Saguaro and Rowan. The Calypso Advisors will guide newcomers and assist whenever help is needed. Occasionally the Advisors will also arrange newcomer events in areas like Camp Icarus and Halfmoon Bay where many newcomers start their journey on Planet Calypso. Colonists are advised to join the planet specific #calypsoadviser channel where they can get assistance from the Advisors and also help other Calypsians out by sharing their experiences and findings. Please note that the Advisors are not MindArk employees and that they won't be able to assist with issues that are handled by Entropia Support. The Calypso Advisors are primarily online on weekends. Entropia Universe will be auctioning off 25 high-performance spacecraft. The new two-seater luxury vessels feature a warp drive for rapid interplanetary travel, along with unrivaled handling and top speed, critical when operating in potentially hostile regions. The Quad-wing Interceptor is a medium fighter capable of space and atmospheric flight. Its 4-wing configuration is commonly seen patrolling space stations and mother ships to fend off pirate attacks! This fast and agile ship is the bread and butter interceptor for most private armies, although it’s also a favorite among privateers due to its weapons load out and speed. 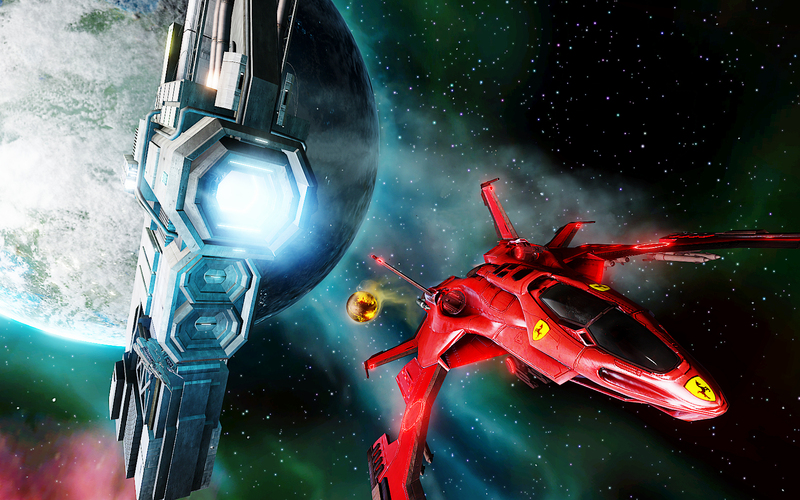 Auctions for the fiery-red Quadwing Equus ships will begin on December 9th, 2014, with opening bids of 50,000 PED (5,000 USD). Bidding competition is expected to be fierce. End times for the 25 auction listings will be staggered at various hours of the day, and over a period of three weeks, so that interested parties from all time zones can participate. To see all info regarding the Quadwing Equus and take part in the auctions, login to Entropia Universe using the full 3D PC-client and contact any auctioneer. You can also use the Android app Virtual Tycoon to access the auction. Auctions for the special-edition Quad-Wing Equus spacecraft have now begun. The listings can be found under the Global Auction section, with a start bid of 50000 PED. Start and end times for the 25 auction listings will be staggered at various hours of the day and over a period of three weeks so that interested parties from all time zones can participate. Upon completion of each Quad-Wing Equus auction, the winning bidder will receive a special NanoWarp I device that provides warp capability for Equus-class ships, along with a Space Thruster device that allows for atmospheric entries and departures. Both the NanoWarp I and Space Thruster devices are repairable. The Quad-Wing Equus luxury spacecraft sacrifices cargo space in exchange for rapid transport capability, and thus has lower cargo capacity than other Quad-Wing ships (10 items / 40kg). Also, the top speed of the Equus degrades if the total carried weight (cargo + cockpit) exceeds 100kg, while warp capability becomes disabled once the total carried weight exceeds 150kg.